In the non-precedential Memorandum decision in the case of Hernandez-Lerch v. Gray, No. 842 MDA 2015 (Pa. Super. May 17, 2016 Panella, Lazarus, Platt, J.J.)(Op. by Lazarus, J. ), by Pennsylvania Superior Court ruled that a trial court erred in denying the Plaintiff’s Motion for a New Trial on the issue on damages after the jury awarded an automobile accident Plaintiff damages for medical bills and wage loss but nothing for pain and suffering. The court found that uncontested evidence of the Plaintiff’s injuries showed that she had suffered compensable pain that amounted to more than a mere transient rub of life. According to the Opinion, the Plaintiff alleged soft issue injuries along with wage losses and medical expenses. The Superior Court noted that uncontested evidence revealed that the Plaintiff’s injuries were treated with an epidural steroid injection, physical therapy, along with the use of a TENS unit and a home traction unit. The court reiterated that the evidence of the injury was uncontested and that the Plaintiff’s treating doctor and physician’s assistant offered testimony in records to substantiate the Plaintiff’s alleged injuries. More specifically, the court noted that the evidence showed that the Plaintiff suffered cervical and lumbar sprain and strain injuries with resultant pain, along with an aggravation of a pre-existing back injury. The court also noted that the injuries took at least four (4) months to heal. Anyone wishing to read a copy of this decision online may click this LINK. Source: “Digest of Recent Opinions.” Pennsylvania Law Weekly (May 31, 2016). In recent non-precedential opinion in the case of Mills v. Gubbio’s, LLC 1907 MDA 2015 (Pa.Super. June 28, 2016 Stabile, Platt, Strassburger, J.J.)(Op. by Strassburger, J. 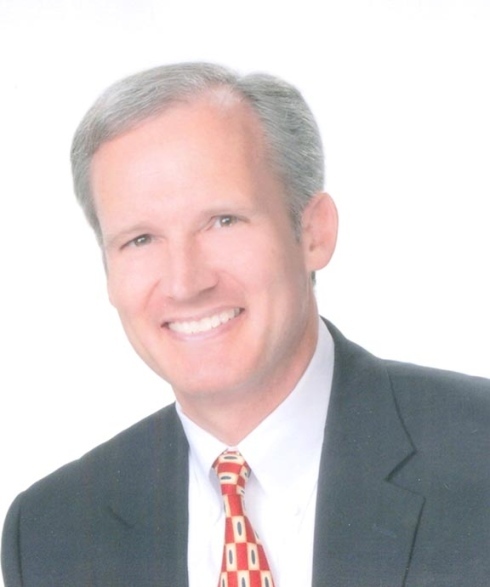 ), the Pennsylvania Superior Court affirmed Lackawanna County Court of Common Pleas Judge Terrence R. Nealon's decision to enter summary judgment in favor of the defense in a slip and fall matter. In affirming the trial court decision below, the Superior Court reviewed the current status of the law of liability of a landlord-out-of-possession, including the reserved control exception and the public use exception to those rules of liability. Also of note is the fact that the Superior Court reaffirmed that the Nanty-Glo Rule does not prevent the party moving for summary judgment from relying upon the testimony of an adverse party, or that adverse party's witnesses, in support of the motion as such admissions by an adverse party or its witnesses is considered to be an "unconditional surrender" by that party or witness on the facts admitted. While a Plaintiff and a Defendant are obviously adverse parties, this decision affirms Judge Nealon's finding that Co-Defendants, and their witnesses, may also be considered to be adverse parties to one another in this context. Anyone wishing to review this non-precedential decision may click this LINK. In a recent Tort Talk post on the limited tort case of George v. Hower, 59 Northampton 211 (C.P. North. Co. March 9, 2016), in which the court denied a defense motion for summary judgment, I noted that I did not have a copy of the case. Since then several Tort Talkers have sent me a copy of the case for which I am grateful. Anyone desiring a copy of this case may contact me at dancummins@comcast.net. In the non-precedential decision in the case of Pusey v. Allstate Insurance Company, No. 888 EDA 2015 (Pa. Super. May 20, 2016 Ford Elliot, P.J.E. Stabile, and Strassburger, JJ.) (Mem. Op. by Stabile, J. ), the Pennsylvania Superior Court affirmed a trial court’s handling of the molding of a verdict after an underinsured motorist trial. In this case, the trial court addressed the proper procedure for applying credits and comparative negligence in an underinsured motorist benefits trial. This matter arose out an incident during which a minor Plaintiff was struck by a vehicle while the minor was riding a bicycle. 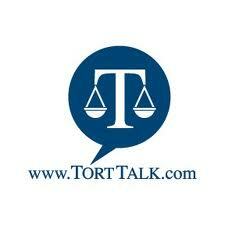 Prior to trial, the tortfeasor’s carrier tendered its $25,000.00 policy limits to the Plaintiff. The Plaintiff then brought suit against the UIM carrier for underinsured motorist coverage. At trial, the jury awarded the Plaintiff $58.600.00. However, the jury also attributed 41% of the negligence to the minor Plaintiff. When a post-trial dispute arose on how to apply the credit for the tortfeasor’s limits as well as the comparative negligent percentage, the trial court ruled that the comparative negligence percentage should be applied first, followed by the application of the credit owed from the tortfeasor’s liability limits. In its non-precedential Opinion, the Superior Court affirmed and found no abuse of discretion by the trial court in its decision. In so ruling, the Superior Court rejected the Plaintiff’s argument that the Allstate policy language pertaining to the phrase “legally entitled to recover” was ambiguous as to how the net verdict was to be determined. The court stated that, “[t]o the contrary, it is clear that the amount [the Plaintiff] is “legally entitled to recover” is only reasonably interpreted as the amount she is entitled to collect according to the jury’s verdict.” See Op. p. 6. As noted, the Superior Court affirmed the trial court’s application of the comparative negligence percentage of the Plaintiff first followed by the application of the credit owed from the tortfeasor’s liability limits. Accordingly, the judgement entered by the trial court below was affirmed. Anyone wishing to review a copy of this non-precedential decision by the Pennsylvania Superior Court in the case of Pusey v. Allstate, may click this LINK. In the recent Northampton County Court of Common Pleas decision of George v. Hower, 59 Northampton 211 (C.P. North. Co. March 9, 2016), the court denied a defense Motion for Summary Judgment on the limited tort issue after finding that the Plaintiff’s complaints that accident-related knee pain interfered with daily tasks for years after the accident created an issue on the serious injury question that should be left to be decided by the jury. If you wish to review a copy of this case, please contact me at dancummins@comcast.net. In Heller’s Gas, Inc. v. Int’l Ins. Co. of Hannover Ltd., 4:15-CV-01350 (M.D. Pa. June 1, 2016 Brann, J. ), Judge Matthew W. Brann of the Federal Middle District Court of Pennsylvania addressed the discoverability of communications between in-house counsel of a third party administrator and a claims representative of a carrier utilizing the services of the third party administrator. In this breach of contract and bad faith case relative to a policy that provided commercial premises coverage, the Plaintiff insured claimed that documents withheld or redacted in discovery did not fall within the attorney-client privilege, the work product doctrine, and/or did not pertain to reserve information. The Plaintiff insured asserted that all but one of the documents at issue was either sent to or from employees of the insurer’s third party administrator or its authorized claim representative, and as neither of these entities were subsidiaries of, or owned by, the insurer, the communications were not privileged. In response, the carrier did not assert an agency relationship with either the third party administrator or the authorized claims representative. Rather, the carrier, instead argued that the communications between the third party administrator’s in-house counsel and/or the claim representative’s in-house counsel with the insurer all fell within the scope of attorney-client privilege. As such, the court found that the redactions were appropriate. Anyone wishing to read this decision may click this LINK. I send thanks to Attorney Lee Applebaum and the other writers of the Pennsylvania and New Jersey Insurance Bad Faith Case Law Blog at Fineman, Krekstein & Harris for bringing this case to my attention. Commentary: Check out the Tort Talk blog post on the Pennsylvania Superior Court's recent ruling in a similar fashion on similar issues in the case of Brown v. Greyhound, Inc. HERE. The Brown case can be viewed online HERE. I spelled the name of the Plaintiff incorrectly in yesterday's post on the Eastern District Federal Court Bad Faith case of (correct spelling here) Canizares v. Hartford Insurance Company, No. 16-1465 (E.D. Pa. May 27, 2016 Pratter, J.). Here is a LINK to the case if you wish tor review the same. I apologize for any confusion. In the case of Canizares v. Hartford Insurance Company, No. 16-1465 (E.D. Pa. May 27, 2016 Pratter, J. ), the court dismissed a bad faith claim, without prejudice, after finding that the Plaintiff failed to meet the federal law standards of pleading a plausible claim by simply alleging legal conclusions. This matter arose out of damages caused to the Plaintiff’s home by a burst water pipe. According to the Opinion, the insurance company paid for some of the damages to the premises as well as certain damages to personal property. The Plaintiffs filed suit for the unpaid expenses associated with repairing damages to the premises along with a bad faith claim. The court reviewed the federal court threshold for pleadings under the Iqbal/Twombly standard which requires a Plaintiff to plead sufficient factual content to allow a court to draw a reasonable inference that the Defendant is allegedly liable for the misconduct pled. Here, the court found that the Plaintiff’s allegations primarily consisted of legal conclusions such that the federal court threshold for pleadings was not met. However, the court dismissed the bad faith claim without prejudice in the event the Plaintiff later discovered information sufficient to factually plead such a claim. Anyone desiring a copy of this decision may contact me at dancummins@comcast.net. 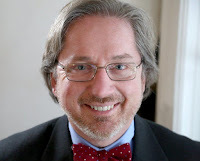 I send thanks to Attorney Lee Applebaum of the Philadelphia law firm of Fineman, Krekstein & Harris and his fellow writers of the Pennsylvania and New Jersey Insurance Bad Faith Case Law Blog (www.pabadfaithlaw.com) for bringing this decision to my attention. In its recent decision in the case Brown v. Greyhound Lines, Inc., No. 1167 EDA 2015, 2016 Pa. Super. 108 (Pa. Super. May 24, 2016 Shogan, Mundy, and Fitzgerald, JJ.) (Opinion by Shogan, J. 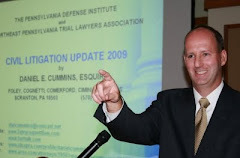 ), the Pennsylvania Superior Court addressed issues pertaining to the attorney/client privilege and the work product doctrine as applied between attorneys and third party administrators in civil litigation matters. This matter arose out of a bus accident that occurred on Interstate 80 in Union County, Pennsylvania. Forty-two (42) Plaintiffs filed personal injury actions in Pennsylvania, New York, Ohio, and Texas against Greyhound. A particular issue raised in this matter involved a Request for Production of Documents sent by the Plaintiff to Defendant First Group America seeking the contents of claims files, correspondence, and emails discussing the bus accident that were sent to or from any individual employed by Gallagher Bassett, a third party adjustment company which contractually handled claims and investigations for Greyhound and First Group. The Defendants objected to these discovery requests on the basis that the materials were confidential under the attorney/client privilege and attorney work product privilege. The trial court directed that any materials objected to on the basis of privilege would be made part of a privileged log to be provided to all parties and also require that the redacted and unredacted documents be submitted to the court for an in-camera review. As a result of that in-camera review, the trial court issued various Orders regarding the production of certain evidence, including a videotaped mock deposition of the bus driver. The Defendants filed an appeal. After providing a thorough review of the current status of the attorney/client privilege and work product doctrine under Pennsylvania law, the court allowed for the production of the mock deposition tape. On other issues, Greyhound asserted that the communications between its counsel and Gallagher Bassett, the claims administrator investigating the case on counsel’s behalf, were protected by the attorney/client privilege. Applying the law to the case before it, the court found that the Defendants had failed to establish that the trial court’s rulings allowing for the discovery of certain documents should be overturned. In part, the court faulted the Defendants in failing to carry their burden of proof on the privilege by failing to make any specific arguments beyond citing general precepts concerning the attorney/client and work product privileges. Anyone wishing to review this decision may click this LINK. I send thanks to Attorney Kenneth T. Newman of the Pittsburgh law office of Thomas, Thomas & Hafner for bringing this case to my attention. In a recent decision in the Federal Western District Court case of Schutte v. GEICO, No. 2:16-CV-00374 (W.D.Pa. May 24, 2016 Schwab, J. ), the court denied a UIM carrier's motion to sever and stay a bad faith claim asserted in a Post-Koken matter. In response to the arguments by the carrier citing state court decisions quoting that bad faith claims should be bifurcated, the federal court stated that “to the extent that the state court’s administration of bad faith claims is more advantageous to Defendant,” perhaps the Defendant should have kept the case in state court rather than removed it to federal court. I send thanks to Attorney Joseph Hudock of the Pittsburgh law firm of Summers McDonnell for bringing this case to my attention. There is no better time of year than the month of June, when thoughts are beginning to turn to the salty air and sandy beaches at the shore or the cool breezes and lapping lakefronts in the mountains of Pennsylvania, to take a moment to rededicate oneself to the goal of improving one's practice while at the same time reducing any unnecessary stress. The following tips are suggested in this regard. By routinely looking ahead 30 to 45 days on the calendars, conflicts and deadlines will never creep up on you and cause unnecessary stress. In terms of scheduling conflicts, looking ahead and clearing up problems is not only respectful of the schedule of opposing counsel, but can also serve to avoid delays and keep the case moving steadily towards its eventual resolution. In terms of deadlines 30-60 days out on the horizon, it may be advisable to start the first draft of a brief or an arbitration/mediation memorandum whenever time permits. In that way, there will be time to put the brief aside to be researched, edited, and rewritten on a few additional occasions at your leisure as opposed to a last-minute dash to scrap together a superficial document that merely scratches the surface of the issues presented. By starting early on a written product, and revisiting it periodically with additional research and editorial touches, an attorney can guarantee his or her client a thoroughly advocated and a well-written presentation of the client's position to the court. Another way to stay on top of each and every file in your practice is to literally “glance” in the file once a month with a portable Dictaphone in hand. An easy way to remember to do this is to set yourself up to automatically complete this task either on the first day or the last day of every month. While looking at each and every file during a single run-through once a month may sound like a daunting task at first, once you have looked at the file in this manner several months in a row, the status of file will become committed to memory and your review will move more quickly. In fact, by the third or fourth month of completing this monthly glance at the file, it will literally take only a few seconds to look at the correspondence section of each file to determine what has been done and what needs to be done in the file to keep it moving forward in an expeditious manner for the benefit of the client. Additionally, many files that are “hot” and on the front-burner to begin with, will need little or no review. This method of regularly viewing the file allows the attorney to dictate quick letters to the opposing counsel or the client, or memos to the file, regarding the status of the case and items to be completed. Those letters and memos, in turn, will trigger the responses and further activity necessary to keep the file moving forward in a continual fashion. A regular course of reviewing each file will also enable the handling attorney to impress others with the attorney's ability to discuss the status of the file off the top of his or her head during a cold telephone call from a client or opposing counsel. Last, but not least, this method of regularly reviewing files may also satisfy one's obligations to stay on top of one's files as may be required under the attorney's legal malpractice policy in any event. Any thought that this type of a proactive, periodic review of files would be too time-consuming should be tempered with the acknowledgment that much more time is wasted by the reactive method of retrieving and digging through files only at times when updates or other action is required. 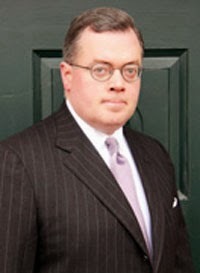 A common complaint of clients and attorneys is the failure of other attorneys to return phone calls promptly or at all. First and foremost, the failure to return a phone call, even from an adversary you can not stand to speak to, is just simply rude. Obviously, a claim will become stagnant when phone calls seeking the information necessary to move the matter forward go unanswered. In terms of phone calls from clients, attorneys should remain mindful of the ethical duty to keep the clients informed as to the status of their case. As hard as it may be to return a call to a vexatious adversary, one way to get over the reluctance to return the call is to realize that each communication with that person brings you one step closer to concluding the file and your dealings with that individual. If one simply can not stand any more contact with another individual than is necessary, then at least a response in writing should be offered. Note also that the quick and consistent return of all phone calls will also serve to earn the attorney the favorable reputation as a courteous and responsive person who is motivated to move the file to its conclusion. One possible added benefit of returned phone calls to clients may also be that the client may call the attorney less as the client may feel updated on their case. Another way to stay on top of matters and keep them moving is to respond to all mail, whenever possible, on the day it arrives. Immediately responding to mail on the day it arrives will keep the file moving forward in an expeditious manner and prevent matters from falling through the cracks. Like returning phone calls, a prompt response to a letter is courteous to the sender and also signals that one has a common interest in moving the case towards a resolution. Staying on top of the law will also enable a lawyer to stay one step ahead of opposing counsel. By remaining well-versed in the current status of the law, one will better serve the client and be less uncertain when engaging in legal arguments with opposing counsel. Rather than passively skimming the case updates in Pennsylvania Law Weekly and the PBA Bar News , a better practice may be to actively committing the changes in the law to memory by typing up a running list of recent cases in one's computer. Another good source of new case law and citations is the blue-covered advance sheets for the Atlantic Second Reporters. The computer list of saved case citations could be alphabetically broken down in to large topics like “Automobile Law,” “Civil Procedure,” “Dog Bite,” “Evidence,” and the like, with each section being broken down in to subparts in accordance with subheadings that may be found in the headnotes or descriptions stated in the case summaries. It may also be advisable to read, or at the very least skim, the Pennsylvania Rules of Civil Procedure once a year. Not only does this practice refresh one's understanding of the Rules but it may also surprisingly result in new knowledge concerning certain aspects of civil procedure. Remaining well-versed in the Rules of Civil Procedure and the changes in Pennsylvania case law may enable counsel to stay a step ahead of any opposing counsel and will foster a reputation of one being well-versed in the law and rules of procedure. Obviously it is always a good idea to be on time for any appointment or appearance as a matter of courtesy, as part of the effort to make a good first impression, and to avoid any unnecessary increasing of one's own stress level. Arriving at least 15-20 minutes early for any meeting will allow for time to get set up and comfortable. By arriving early, one can have all their materials out and arranged on the table in an orderly fashion. This may serve to avoid the sometimes embarrassing situation of the need to scramble through the file in an effort to locate a particular item. Arriving early will also enable the attorneys to deal with any preliminary issues. Agreements and stipulations can be reached or reaffirmed, thereby streamlining the proceedings. Perhaps most importantly, by arriving early, an attorney may be less harried and, therefore, calmer going into the session. This will always prove beneficial, particularly if the attorney is in the presence of a client who will be reassured by the confident and composed presence of the attorney. There may be nothing more important to the practice of law than the principle that decisions to be made should never be motivated by personal feelings or emotions, but rather should always be the result of a sound, objective business-like decision-making process. All too often, attorneys take the actions and adverse positions of opposing counsel personally and retaliate without first thinking through and formulating an appropriate response on an objective basis and in accordance with the law and facts of the case. Sometimes it is a good idea to trash that hasty and curt first draft of a responsive letter so as to avoid a confirmation that the tone of the litigation will remain extremely adversarial. It is particularly important to remain objective when evaluating cases for settlement purposes and in engaging in settlement negotiations. Emotions have no place during settlement negotiations but can run high and get in the way of an objective evaluation of a case's range of value. The pros and cons of a case can not be properly and professionally evaluated if one's judgment is clouded by emotionally charged and negative feelings towards another attorney, that attorney's client, and/or that attorney's case or argument. Where it is difficult to separate one's self from an emotional assessment of the value of a case, it may be wise to run the case by another attorney or, even better, a lay person for a fresh and objective viewpoint. Last but not least, litigating attorneys should also never take on the emotional trappings of their clients or let such emotions get in the way of an objective application of the law to the facts of the case at hand. In addition to being advocates, attorneys are also expected to be counselors for their clients always at the ready to counsel them towards an amicable resolution of the issues presented. In addition to assisting clients with their legal matters, an attorney may also obtain personal gratification and improve the image of the practice as a whole by taking on pro bono cases within the scope of their expertise wherever possible. Equally gratifying is the participation in volunteer activities in the community. In addition to benefiting local charities and communities, volunteer efforts also have the added benefit of networking and free advertisement. By participating in charitable activities, one can not only possibly gain some exposure with the general public but may also serve to improve public image of all attorneys. It should also be kept in mind that lawyers are not just lawyers. They may also be identified as mothers, fathers, friends, musicians, artists, or sports enthusiasts, etc. An effort to be good in all aspects of life outside of the law results not only in a sense of accomplishment but also makes for a more fulfilling existence. Whenever possible, a balance between work and life outside of work should be sought and encouraged. An attorney who spends most or all of his waking hours in the practice of law runs the significant risk of burning out and losing touch with who else they are. It is important to schedule so “me” time on a daily, or at the very least, several times a week basis. It is only common sense that attorneys who strive to expand their life outside of the practice of law, in terms of their hobbies, recreational activities, physical fitness, and in exploring creative outlets, are more apt to have a higher level of productivity at work as well. It is also noted that engaging in some of the proactive tips noted above may provide the comfort the comes with knowing that one's files are updated and moving ahead so as to allow counsel to be more willing to let go of work issues and more fully enjoy one's free time. Similarly, when the above proactive tips for file monitoring and updating are utilized, one may be able to go away on vacation with the comfort and security of knowing that there is a lesser chance that a “fire” will arise that could serve to dampen one's enjoyment of the vacation or even cause the trip to be cut short. Obviously, the practice of law can be an extremely stressful 24/7 profession. Spending and enjoying more time away from the practice and one's home base can serve as a release from the pressures of work and lessen one's overall stress level. This, in turn, could result in a healthier lifestyle. A more healthy lifestyle, in turn, may render one a more productive and efficient attorney. In the end, all aspects of life, both in and out of work, will benefit. As difficult as it may sometimes be, it should be kept in mind that the practice of law is but one dimension of our short lives. Efforts to realize a more healthy and balanced life by spending more quality time with your family and friends outside of and away from work will add life to one's years during our short time on this planet. Again, it is only common sense that a well-rounded lifestyle that includes regular vacationing may also result in one becoming a more productive and effective attorney in the end. In a June 8, 2016 Opinion in the case of Astleford v. Delta Medix, No. 15-CV-5134 (C.P. Lacka. Co. 2016 Gibbons, J. 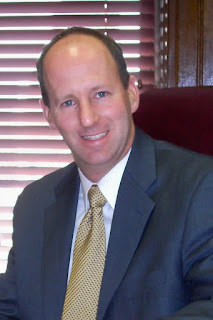 ), Judge James A. Gibbons of the Lackawanna County Court of Common Pleas issued what may be the first decision in the Commonwealth of Pennsylvania in which direct/corporate liability was extended to physicians professional groups or a private medical practice group, as opposed to vicarious liability. This medical malpractice action arose out of allegations of negligent care provided to the Plaintiff during treatment for cancer. In her Complaint, the Plaintiff made claims of both vicarious and direct liability against the treating doctor as well as the physicians professional group that participated in her care. The case came before the court on Preliminary Objections filed by the defense, which the court granted in part and denied in part. The Defendant's Preliminary Objections against the Plaintiff's claims for punitive damages were denied after the court noted that the law allows for such claims in medical malpractice cases where willful or wanton conduct, or reckless indifference to the rights of others is alleged on the part of a defendant as was found to have been alleged in this matter. In his Opinion, Judge Gibbons extended the reasoning found in the Pennsylvania Supreme Court nursing home liability case of Scampone v. Highland Park Care Center, 57 A.3d 582 (Pa. 2012). In Scampone, the Pennsylvania Supreme Court noted that a corporation, separate and apart from its agents, may owe a duty of care to maintain safe facilities and to oversee that its staff is competent. See Astleford at p. 10. The Scampone decision was also noted to stand for the proposition that were there was no legislation precluding liability under certain circumstances, a court was not prevented from recognizing the existence of potential liability under the law. Judge Gibbons emphasized that the status of the case before him was at the preliminary objections stage and that, by denying the defense Preliminary Objections raised against the allegations of direct liability, the trial court was only ruling that the Plaintiff had properly pled a case of direct liability against the physicians professional group/private medical practice. Judge Gibbons further stated that "[w]hether that claim survives is a question for another day." See Astleford at p. 10. The court in Astleford otherwise denied the defense demurrer to the Plaintiff's informed consent claim but sustained the defense demurrer to the Plaintiff's claim for negligent infliction of emotional distress where the Plaintiff did not alleged a physical injury from the alleged emotional harm as required by the elements of that cause of action. Anyone wishing to review of a copy of this decision may contact me at dancummins@comcast.net. I send thanks to Attorney Michael J. Foley of the Scranton Foley Law Firm for bringing this case to my attention. In the case of Adeniyi-Jones v. State Farm Mut. Auto. Ins. Co., No. 147101 (E.D. Pa. Oct. 21, 2015), the Pennsylvania Eastern District Federal Court allowed a deposition of Plaintiff’s counsel in a UIM/bad faith claim. In this matter, the Plaintiff filed suit against her own automobile insurance company for UIM benefits and included a bad faith claim with respect to the negotiations on the UIM claim. The carrier’s counsel noticed a deposition of Plaintiff’s counsel. Plaintiff’s counsel responded with a Motion for a Protective Order. The carrier wished to take the Plaintiff’s counsel’s deposition with respect to discussions that attorney had with State Farm’s claims representative prior to the filing of a lawsuit. The allegations of bad faith in the Complaint included allegations pertaining to the failures of the carrier to request an examination under oath or an IME. The carrier contended that an oral agreement existed between the claims representative and Plaintiff’s counsel that Plaintiff’s counsel would provide information to State Farm such that an examination under oath and an IME would not be required. Accordingly, the existence of any oral agreement was central to a defense of the bad faith claim. The court found that Plaintiff’s counsel had relevant information available only through her on that defense. The court additionally ruled that communications with the claims representative were not protected by the attorney-client privilege. While the court allowed the defense counsel to take the deposition of the Plaintiff’s counsel, that deposition was limited to discovery of pre-litigation communications between Plaintiff’s counsel and the carrier’s claims representative. I send thanks to Attorney Thomas A. McDonnell of the Pittsburgh, Pennsylvania law firm of Summers, McDonnell, Hudock, & Guthrie for bringing this case to my attention. 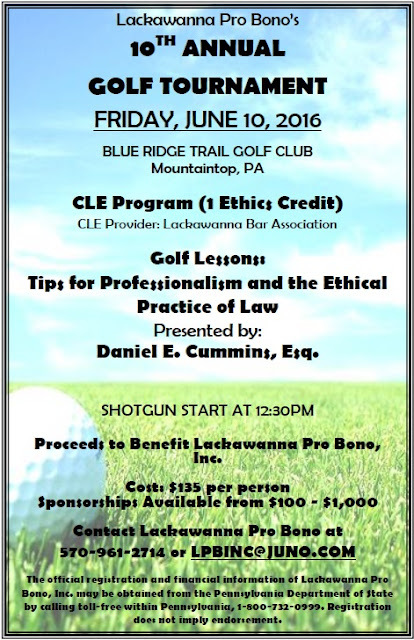 The Lackawanna Pro Bono Golf Tournament is set for next Friday, June 10, 2016, at the Blue Ridge Trail Golf Club in Mountaintop, Pennsylvania with a shotgun start at 12:30 p.m. The Golf Tournament will be preceded by a CLE program and Lunch at 11 a.m. that I will present entitled "Golf Lessons: Tips for Professionalism and the Ethical Practice of Law." I will utilize video clips in a hopefully entertainingly quick hour-long ethics credit CLE that will touch on a variety of ethical rules as well as the PBA's Working Rules of Professionalism. If you are not a golfer, you can attend the CLE and Lunch at a lesser price and still thereby support Lackawanna Pro Bono. 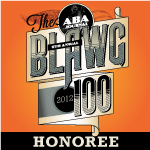 Please consider supporting Lackawanna Pro Bono, Inc. at this event. Here is a LINK to the Registration form to participate in the Golf Tournament and/or the CLE program. In his May 18, 2016 decision in the case of Page v. Moses Taylor Hospital, 2011-CV-1402 (C.P. Lacka. Co. May 18, 2016 Nealon, J. ), Judge Terrence R. Nealon of the Lackawanna County Court of Common Pleas addressed claims for negligent infliction of emotional distress in the context of a medical malpractice case. In this case, the Plaintiff commenced a medical malpractice claim against various medical Defendants for allegedly failing to properly diagnose and treat the Plaintiff’s preeclampsia during her pregnancy with twins as a result of which the Plaintiff allegedly suffered an eclamptic seizure that allegedly resulted in the stillbirth of the twins due to a placental abruption allegedly attributable to the Plaintiff’s seizure and her other medical conditions. The Plaintiff instituted a cause of action on behalf of her stillborn twins under the Wrongful Death Act and the Survival Act, along with her own independent claim for negligent infliction of emotional distress related to the death of her twins. Various Defendants filed a Pre-Trial Motion In Limine seeking to preclude the Plaintiff from introducing any evidence in support of her claim for negligent infliction of emotional distress on the grounds that the Plaintiff allegedly did not experience or observe a discrete and identifiable traumatic event since she was unconscious at the time that the stillborn twins were delivered, given that the Plaintiff was not aware of any alleged malpractice by her treating health care providers during her prenatal care and treatment, and given that the Plaintiff had not produced any expert report from a psychiatrist or a psychologist detailing that she suffered from emotional harm. The Defendants were also seeking to bar the Plaintiff from introducing evidence of any emotional or psychological harm she suffered as a result of this matter. After reviewing the various elements of a valid claim for negligent infliction of emotional distress, including the physical impact test, the zone of danger test, and bystander liability, the court noted that the Plaintiff was asserting that her negligent infliction of emotional distress claim was viable under the “physical impact” rule as giving birth to a stillborn child physically impacts the mother. The court cited other trial court Opinions allowing such a claim to proceed under the physical impact theory. Accordingly, Judge Nealon ruled that irrespective of whether or not the Plaintiff could prove her claim under a bystander theory of liability for negligent infliction of emotional distress, Plaintiff could proceed with that claim pursuant to the “physical impact” rule. The court also rejected the defense arguments that the Plaintiff failed to offer any evidence that she was aware of any alleged malpractice by her treating providers during her prenatal care or treatment or that the Plaintiff had failed to produce any expert report from a psychiatrist or psychologist detailing that she had suffered emotional harm. The court noted that there were several Lackawanna County Court of Common Pleas decisions rejecting the argument that a patient pursuing a claim for negligent infliction of emotional distress must realize, at the time of the medical care at issue, that the treatment deviated from the standard or care. Citing Superior Court precedent, Judge Nealon also ruled that that supporting medical proof is not required to sustain a cause of action for negligent infliction of emotional distress. Rather, provided that the Plaintiff presented proof that she had experience some physical manifestation of her emotional distress, such as persistent depression, nausea, sleep disturbance, nightmares, flashbacks, breathing difficulties or hysterical attacks, Plaintiff may proceed on a claim for negligent infliction of emotional distress. Judge Nealon also noted that, even assuming for argument’s sake that the Plaintiff was unable to sustain a valid claim for negligent infliction of emotional distress, she would not be foreclosed from seeking to recover damages for the emotional distress and mental anguish she suffered from the stillbirth of her twins. Rather, such damages were allowed under the wrongful death act. Accordingly, the court denied the defense Motion In Limine filed against the Plaintiff’s claims for negligent infliction of emotional distress and/or claims for damages for the emotional distress and mental anguish she suffered from the stillbirth of her twins.